The value of the ocean economy is forecasted to double to reach USD 3 trillion by 2030 (OECD). But where, when, and how will this happen? and strategy executives for hands-on exploration of the PERISCOPE North Sea Opportunity Radar. We will use an idea jam to postulate next-generation business models in maritime in order to crack open new blue markets. Free to register, but no-show fee of 500 DKK Send an email to mas@danskemaritime.dk to reserve your spot. 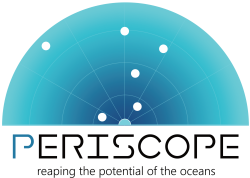 Supported by EU-Interreg PERISCOPE Project, Offshoreenergy.dk, and Danske Maritime.